Kalen McCall has been with Steffes about a year and a half. He came from a job in retail and decided to apply at Steffes after a coworker also joined Steffes and encouraged him to join as well. He started at Steffes as an Assembly Technician but has since been promoted. He is currently the Assembly Lead at our Grand Forks East facility. In this role he oversees the assembly of our skid product line and is in charge of ensuring that each build is being assembled correctly, on time, and up to quality standards. At Steffes, we take pride in giving employees the opportunity to advance their careers and take on leadership roles. 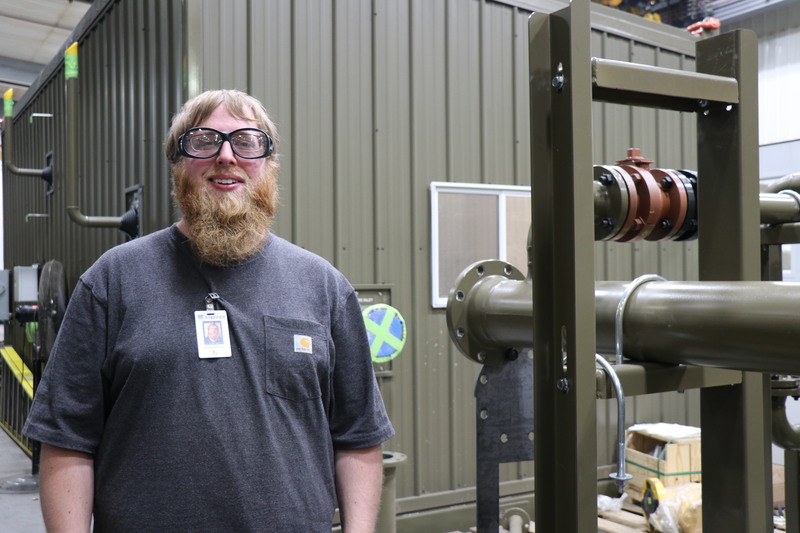 Kalen says that our drastically increasing production volume over the past year has come with challenges, but that is what he likes about the job. “I enjoy the challenges. Every day is different.” says Kalen. Kalen says that he enjoys working for Steffes because he likes the way they run their business and look out for their employees. In his free time, Kalen like to hang out with his family and relax. Thank you for all of your hard work and contributing to Team Steffes, Kalen!